Here in the Hacks blog we’ve written a lot about building apps for Firefox OS using HTML, JS, and CSS. 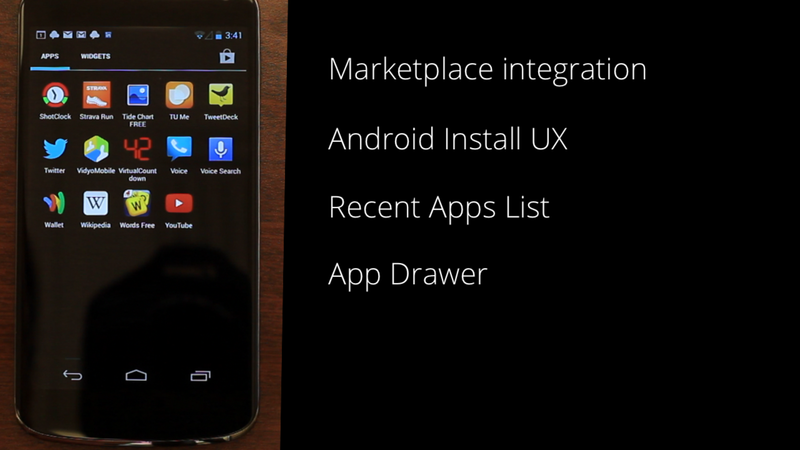 We’re working to ensure that those same apps can also run on Android, Windows, Mac OS X, and Linux devices. If your app can adapt to those screen sizes, CPU’s, and device capabilities, then we’ve got a plan to ensure that your apps install, launch, quit, and uninstall as native apps on each of those platforms. I’ve created a short video that shows how Open Web Apps from Firefox OS will work on any platform where Gecko is available. 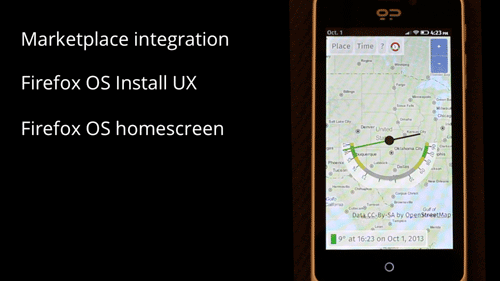 Firefox OS is our benchmark platform for Open Web Apps. On Firefox OS, users can discover apps in the Firefox Marketplace and install them directly onto the phone’s home screen. 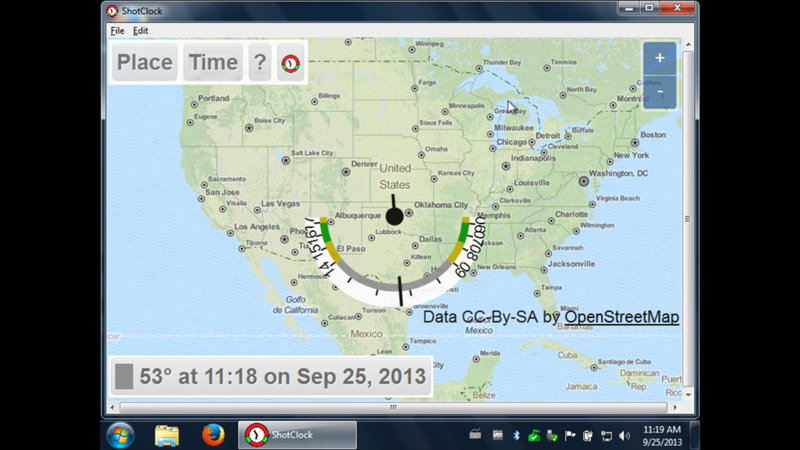 As an example I’m using my app Shotclock, an open web app for computing sun angles for outdoor photographers. Let’s find out what happens when we install this app on other platforms. 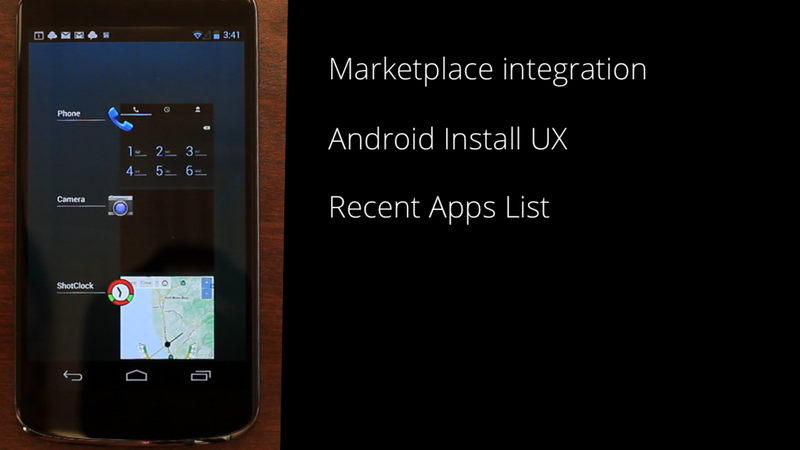 Android users discover apps in Firefox Marketplace using the Firefox for Android browser. Firefox Marketplace has approved Shotclock for Android, so we just click the install button as we did on Firefox OS. We will automatically repackage the Open Web App as a native Android app to give our users a native app experience for Open Web Apps. Because we installed it from an android APK, we can manage it from the recent app list and we find it in the app drawer like every other app. 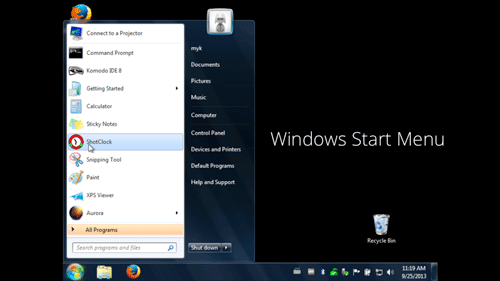 Windows users discover apps in the Firefox Marketplace using desktop Firefox. Firefox Marketplace has approved Shotclock for Windows laptops too, so we just click the Marketplace install button. We will automatically repackage the open web app as a native Windows app. Here’s Shotclock running on Windows, just like a real app. Our repackaging will mean that users can launch their open web apps from the Windows Start menu and quit them from the File menu. 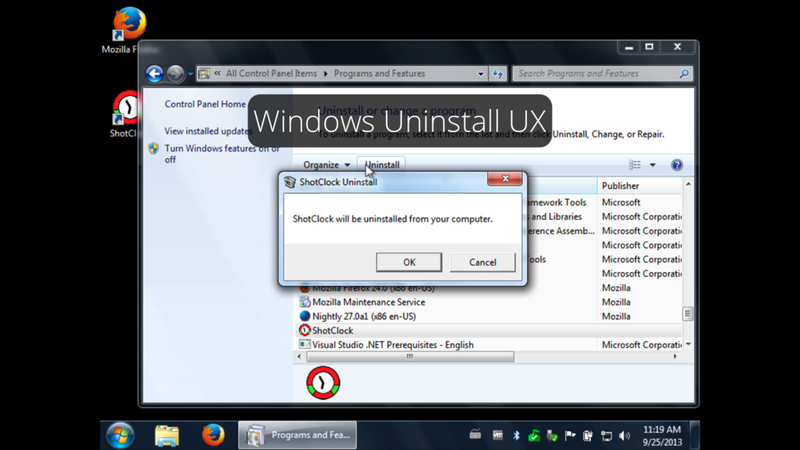 Users will also uninstall them from the Programs control panel. Mac OS X users also discover apps in the Firefox Marketplace using desktop Firefox. 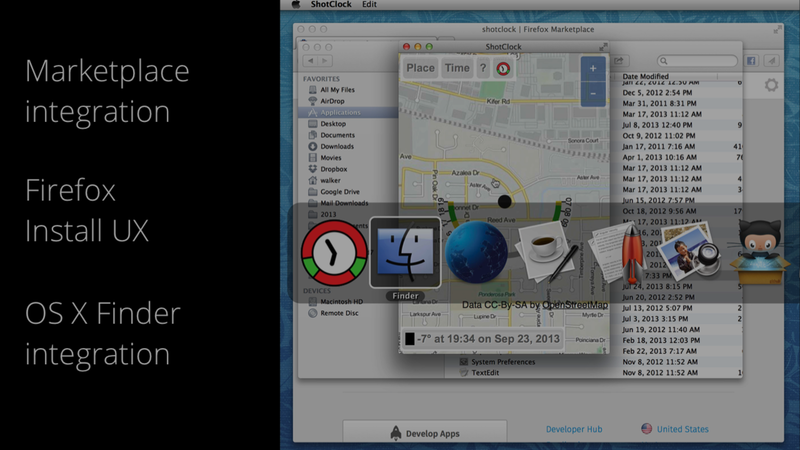 We will automatically repackage the open web app as a native Mac OS X app. 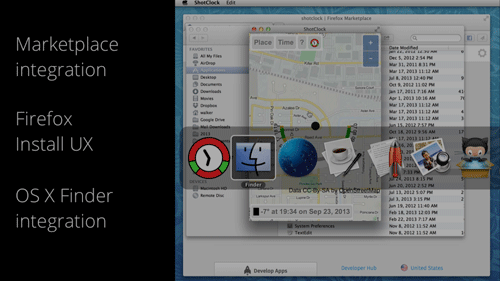 When the user clicks the install button, we install Shotclock in the Mac OS X Applications folder. From there, it launches and runs just like a real app. The native packaging means users can switch between open web apps by pressing Control-Tab, and quit them from the File menu. How much code did the app developer rewrite? Zero. So far we’ve looked at unprivileged Apps. We will also support privileged apps on all these platforms. Here is Kitchen Sink, our app for testing the Firefox OS privileged APIs. What happens when we install it on Android? 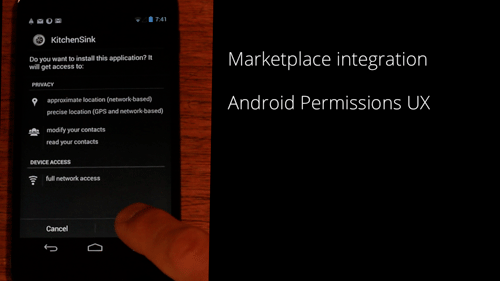 The experience of discovering and installing privileged apps will follow the Android convention of presenting a list of permissions to the user at install time. These permissions are copied from the open web app manifest. After the user completes the installation process, the App is ready to use, and is able to access the phone hardware. 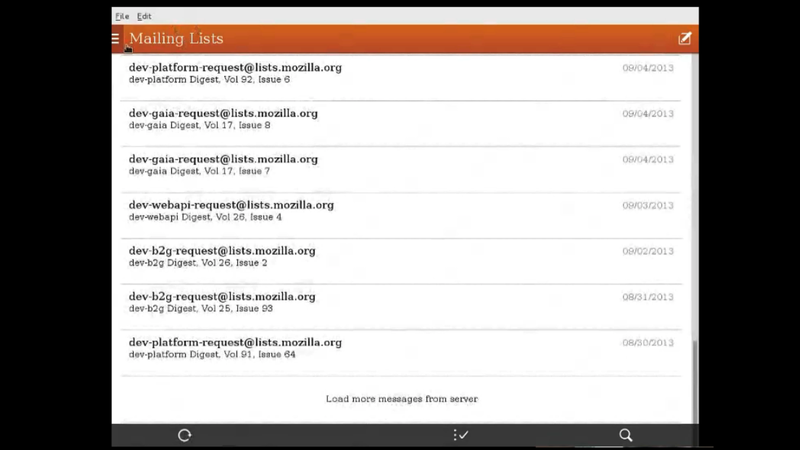 The email application that comes with Firefox OS is basically a privileged App that uses the Socket API for networking. Marco Castelluccio, our open web apps intern, got it running on it on his Linux laptop. He copied over the app package from Gaia and made one tweak to the app manifest. So, if you like the apps that come with your firefox os phone and want to run them on your other devices, cross-platform open web apps can make that happen. We’d love to support Open Web Apps on iOS devices, but iOS does not, at this time, include the option to install a Gecko-based web browser, which is currently needed to support Open Web Apps. Edit: We’re working with the Cordova community, both to allow Cordova apps to run unmodified on Firefox OS and to allow Open Web Apps packaged by Cordova to run on iOS. For more details see the Cordova Firefox OS project page and the Cordova Firefox OS GitHub repository. Desktop — You can install hosted, unprivileged apps on your desktops and laptops using Firefox 16 or newer. Privileged app support should land in Firefox Nightly in the next two months. Android — You can install apps using Mobile Firefox Aurora, but you won’t get a native app experience yet. The native app experience should land in Mobile Firefox Nightly in December. The Open Web marches forward! This is so great! Especially that there really is no vendor lock in. Everyone can launch their own app store if they want to. Please make the integration of privileged apps as smooth as possible. I’m definitely looking forward for a replacement of Thunderbird on linux. Although it requires much more effort to develop applications that run on every platform and nearly every screen size, it is worth the effort. I’d love to use the same application on all my devices. Thanks! We are close to allowing every app store to offer privileged apps, the missing piece is a UI where users give permission to a new app store to install privileged apps. We need to make that experience as clear as possible, to avoid users getting tricked into installing privileged apps from a store posing as someone else. how is this better than java? Java isn’t included in Firefox, and Java can be slower than JS. It also doesn’t get better / get new features in new releases of Firefox. It also doesn’t work on mobiles. What do you mean Java doesn’t work on mobiles? Android IS Java! Good point. I was thinking from the point of web-apps though – No Java plugin port as far as I know of (but that would be a great idea). We could debate whether Java is a good app development platform, but when we choose technology we choose community, too. We want to bring all the amazing HTML/JS/CSS content out there right into the middle of all our devices. We want to harness the energy and enthusiasm of all those Web developers. This all looks cool, but what if I want to be able to package an Open Web App for publication in the app store of the platform itself, e.g. the iOS App Store, Google Play, the Windows App Store, etc.? I like that you can make it work technically, but I think users are going to look for platform-specific apps in the platform-specific store instead of in the Firefox market place. Thanks. As you note, it should be technically possible to take native app wrappers that we generate and submit them for distribution through app stores, but in general we don’t think we can be involved in that. It looks like many apps would be rejected because they use our new payment API instead of the platform-specific one, or because they themselves allow installation of apps. So, you’d be on your own to navigate those restrictions. Nice! Will it also integrate with Ubuntu using Unity web-apps? I like the idea, we’d love to talk with Ubuntu folks about putting all our apps API’s and manifest formats into a W3C standard so we can interoperate. I really like what you accomplished so far. I like the idea of web apps running as a native app. This is a whole new take on cross platform products. At the moment user need to have Firefox installed on his/her phone, tablet, desktop in order to install web apps. Are there talks and plans with other browser vendors to enable common API so any browser can be used in this way. It can be useful in cases users don’t want or can not install Firefox on the device. Can web apps that are not in marketplace be installed and used as native. I now that I can just add an install button on my web site and any user can click the button and install web app on his/her Firefox OS device. This way I can distribute apps directly from my web site. Is this feature supported for android, linux, windows, mac os? Delicious appears to have just built their new version in this manner. Unfortunately they’ve also taken the intelligentsia’s recommendation of designing for mobile first and forcing that crappy experience on desktop users, too far. Still, it’s all a learning curve I guess. Wont be long before things will trend back to having navigation objects on desktop styled like, well, buttons and so on, again. All with the power of CSS :) Swings and roundabouts. One weakness of the ‘installable’ web app is still that the ecosystem doesn’t support any default, built-in user feedback. There was a good reason why Windows apps all tended to have a status bar for decades and it wasn’t just some baby you can throw out with the bathwater! For some obscure reasons, the Delicious app just doesn’t do anything whatsoever, randomly. Where’s the indication it’s trying and perhaps experiencing network problems? Where’s an error message? Nothing! Just a white screen. Why cheat users of fundamental intuitive feedback and put the burden back on developers to replace what was already there? Any network request should trigger the same status feedback in a web app as it does in desktop Firefox. Make it the ‘lite’ version instead of a full status bar if you have to, but give the users *something*! Will it be possible to get the OWA packaged as an Android app using Mozilla tools so that the apps can be published on the Google Play store or another app store? Or would this not meet app store requirements because of the fact that Firefox for Android would need to be installed first? The repackaged apps for Android will depend on Firefox for Android, so if they can’t detect it at launch time, they’ll direct you to go install it. As for uploading to Google Play, I think we’ll have to leave that to individual developers to work out. Sometimes I wish Mozilla would move as fast as Google Chrome, but I can see why things take a bit longer now: Mozilla’s too busy doing amazing things like this! Out of curiosity, how do you see Mozilla as moving slower than Chrome? If anything, doesnt Mozilla release more frequently (for better or worse), though of course it could be argued that there’s no real new features with most releases. I hope you don’t equate a fast-moving Mozilla with copying Chrome’s UI, which they plan to do, for the worst in a lot of people’s eyes. Mozilla never did plan to and never will copy Chrome’s UI. The misperception you have is that Australis looks like Chrome, but if you take a closer look, it does not. The only thing that will be the same is the menu icon (because that is pretty much standard now for all apps) and its position – but when clicking on them, they will show something different. Another thing many people mention are the tabs, but really, they are very different, with different outlines and an even bigger size (for me, they are too big, but hey, whatever) – and only the active tab will look like this, while inactive ones don’t have much of an outline at all. 11) Bookmarks star in the location box? 14) Removal of the sidebar is on the cards as well isn’t it? Thus breaking another host of useful addons such as the excellent Sage RSS reader. Undoubtedly I’ve forgotten a few things as well. It’s been a long five years since Chrome walked into town and caught a napping Firefox unaware. Then there’s probably things I don’t even know about. After all, nothing is announced on Planet Mozilla anymore. That is just a place to read public speaking tips and goodbye-to-Mozilla postings. You might feel like supporting Australis Florian but don’t delude yourself that it’s not a substantial nod in the direction of Chrome (if not a ‘copy’). Mozilla has been playing chasey with Google ever since Google pinched a huge chunk of Mozilla employees when Chrome was first announced. Mozilla is still chasing Google, trying to get fit and catch up with the multi-threaded, memory-efficient, invisible-upgrading, feature-packing Chrome that ran right past the well-intentioned but middle-aged, memory-bloated, GC-pausing, single-process, video-codec-deprived, fat Firefox. Congrats to MemShrink and Snappy projects for the personal training they did to get Firefox off it’s arse and exercising to lose all that weight and give it a decent aerobic fitness. Unfortunately it was 3 years too late and now the threat of mutiny is in the air as Mozilla slowly mimics Chrome’s UI. Now those loyal Firefox users who’ve suffered years of poor performance, as appeal after appeal is ignored by Mozilla’s management, hope like hell for a stay of execution, like a convict on death row, as the spectre of Australis threatens to send them to the gas chamber that is Chrome. 1. This discussion is going off-topic. This article is about Open Web Apps, not the UI of Firefox. 2. While you naturally are entitled to make the case for from where features came from (and this could be endless, and there are a number of takes), this is then turning more into a personal tirade. Please refrain from posting comments like this and stay on-topic. It’s also significantly better in general user experience – for example, if/when flash crashes, it blanks out where the plugin would be, instead of saying “crashed tab” and displaying nothing. The addons are generally great and useful, and numerous. It doesn’t have webkit’s random bugs. As for “copying chrome” by making Firefox marketplace – isn’t that what Chrome somewhat copied when they copied Firefox addons? pd, when I mentioned wishing Firefox would move as fast as Chrome, perhaps I should have clarified wishing Firefox would move as fast as Chrome with releasing HTML5 (and alike) features. If you take a quick look at html5test.com, you can see that Firefox is just barely ahead of Safari and Internet Explorer in terms of how many HTML5 features it supports. For a company/organization that promotes the open web, I would expect them to be ahead of Chrome (which is currently at the top) in terms of the HTML5 features it supports. Nevertheless, Mozilla is doing amazing things with what features it does support. Where is the Firefox (that I love) Freedom if I need make a gmailAccount to download it on Android? As outlined on the wiki page for Firefox on Android, you can also download .apk files directly. Also there’s a bug there somewhere about only having Google Play link, and not an apk link or FDroid repository link – but I can’t seem to find it. Hi, is there a way of hide the ‘simple menu’ (File | Edit) embedded in Desktop Web Apps? Isn’t possible close the application just clicking on X button or via window.close() JS?